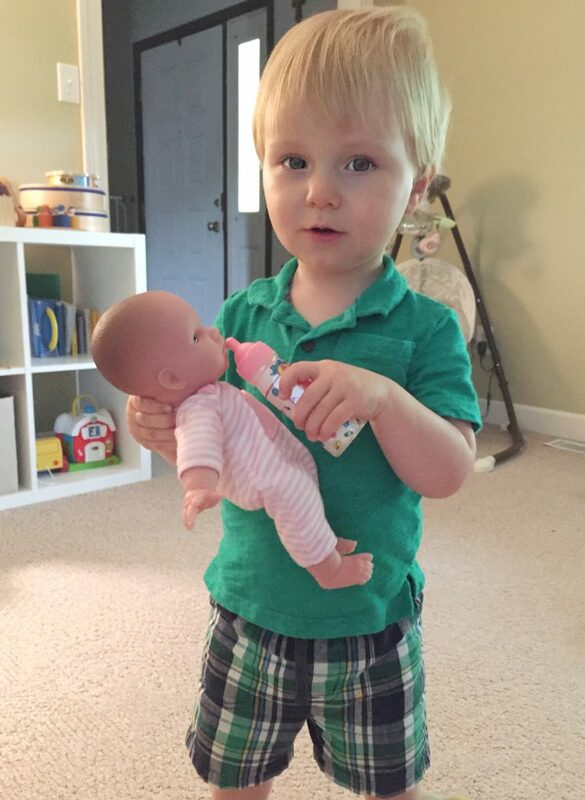 Our first child, Theo, was only 18 months when we learned that we were having twins. We would be bringing home not one, but two babies, and were panicked. 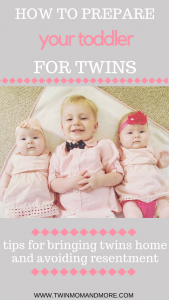 Bringing home one baby is a huge adjustment, but bringing home two!? 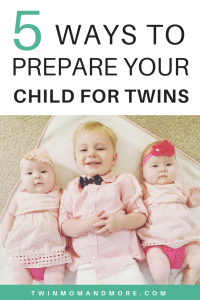 I began asking everyone I knew with multiple children how they eased the transition of bringing home their second baby. I have outlined everything that we did below, to make things easier for you. I’m not saying we are perfect parents, but we never had any issues with Theo being jealous or resentful of his sisters. We have plenty of issues with him now that he is 3 and a tyrant, BUT that is a different subject entirely! Children thrive on routine and consistency. Try to avoid any big changes within the last 90 days of pregnancy and first 90 days of bringing home the baby. It may seem like a good idea to transition to a big-kid bed or begin potty training, but it is better to wait. If we had transitioned Theo into a big-kid bed, it would have been absolutely disastrous. This being said, life happens… if you really don’t want to buy a new crib, and transition your toddler into a big-kid bed, that is your call. I’m just warning you, once they are out of their crib… they will get out of bed… all.the.time. It seems obvious to get a big sibling book, but it’s so important that I couldn’t leave it out. 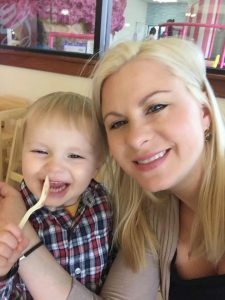 Since I was on bedrest during my pregnancy, we couldn’t do many of the things we wanted to do with Theo. Since the babies spent some time in NICU, I got to spend one-on-one time with Theo before they came home. It was a special time for us since I had been in the hospital for two weeks. The day before we thought the girls were coming home, we had a special day out, just the two of us. We went to the bookstore and I let him choose two books. One book that could be anything he wanted (he chose a truck book of course), and one big brother book. He really had no desire to pick out a big brother book, but I forced him. We ended up with this one because the author has a potty book that Theo loved. 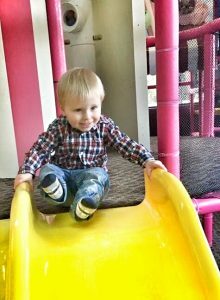 We also went to this little ice-cream place that has indoor play equipment. It was such a fun day! We also got Theo two baby dolls. He wasn’t that into them, but sometimes when I was feeding the girls, he would get one out and give it a pretend bottle. Since the girls were born two weeks after Theo’s birthday, which is a month after Christmas, he wasn’t lacking new toys. I’m pretty minimalist when it comes to my kids and toys anyways, but I wanted to get him something from his sisters that he would be excited about. We ended up getting him a small, inexpensive toy police car from Target. He loved it and still has it. Don’t feel like you need to get the perfect, most sentimental gift for your child from the babies. There’s a 10% chance they will be interested in it once the novelty wears off. We also had Theo choose stuffed animals for his sisters from Pottery Barn Kids. His special animal, Lambie, is from PBK, and we thought it would be meaningful if he picked animals from there too. He had way more interest in playing with the toys than picking out stuffed animals and had a total meltdown when we left. Also, his sisters don’t care at all about their stuffed animals, even though they are in their cribs with them every night (starting at an appropriate age, of course). They do, however, love Theo’s Lambie. I don’t get it! We would frequently remind Theo that many of the fun and cool things he liked to do were for big boys only, not babies. When he ate something he really liked, we told him that this special food was only for big boys. When he played with his favorite toys or watched his favorite t.v. shows, we told him that babies couldn’t do these things. 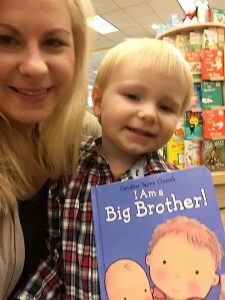 We tried to make it fun and exciting and make him feel privileged to be a big brother. It must be confusing and sad to a child to no longer be mommy and daddy’s only baby. Everyone suddenly talks about how you are a big brother and a big boy. But you’re supposed to be the baby! While it was important for us to talk to Theo and excite him about being a big brother, I also reminded him frequently that he was still our baby. He was only 18 months when we started talking about the babies coming, and just over 2 when they arrived, so he really was still a baby. If your child is older, and you don’t want to call them a baby, perhaps you could remind them that they were your first baby. We tried to be very sensitive to Theo’s needs when we first brought the babies home. He is a very sensitive and emotional child and at the time was actually scared of babies. He had to learn that this was his new life and adapt to having two babies living with him, but I also didn’t want him to have to see them and hear them every single second. 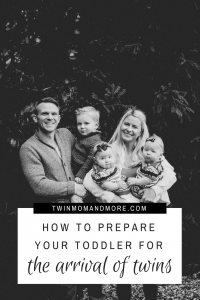 I found myself constantly telling Theo to be quiet because the baby is sleeping; to wait because the baby is eating; or no, we can’t do something because of the baby. This wasn’t fair to him and hurt his feelings, so I changed my tune. One simple thing that helped, if Theo needed something, and the babies were fed, I told the babies that they had to wait. “I can’t pick you up right now, love. Your brother needs me. It’s time to make his lunch!” Now obviously the babies had no idea what I was saying, but Theo did! It reinforced to him that I was still there to take care of him. I also tried to word everything in a positive voice. Instead of saying “stop being so loud” I would try to remember to say “let’s use our indoor voices” or “our voices aren’t for yelling” (This book has been extremely helpful in teaching Theo about using his indoor voice. This mama has no patience for yelling inside!). All of these tactics weren’t to spoil him, and I understand that children need to learn the words ‘no’ and ‘wait.’ However, I wanted to ease him into this new world without growing resentful of his sisters. 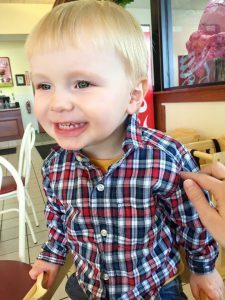 My babywearing mamas might not like me for this one, but I’m just sharing what helped us! I put my twins on a schedule fairly early. When they were in the really sleepy phase, they napped downstairs, but in a different room than we played in. Once they outgrew the sleepy stage, they slept in their room exclusively. The babies demanded everyone’s attention while they were awake. Not having them in the same room as us 24/7 was nice for Theo. This might not work for everyone, sometimes the only way to get a newborn to sleep is by holding them or putting them in a swing. Some moms might not be comfortable having their baby in a different room, and that is totally OK! Even if you start with 1 nap a day in their room, you can have some one-on-one time with your firstborn. 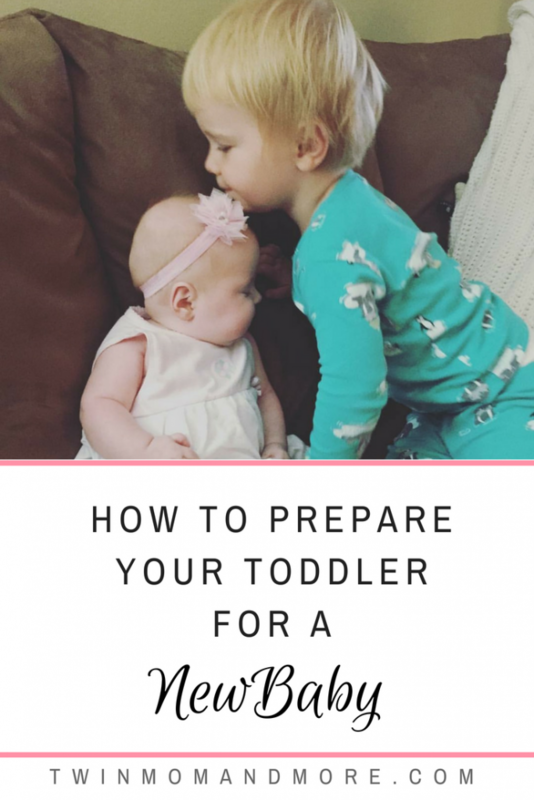 Toddlers love to help! I had Theo help me with so many things when the girls were really little. He helped wash bottles, empty the dishwasher, put diapers in the garbage, etc. 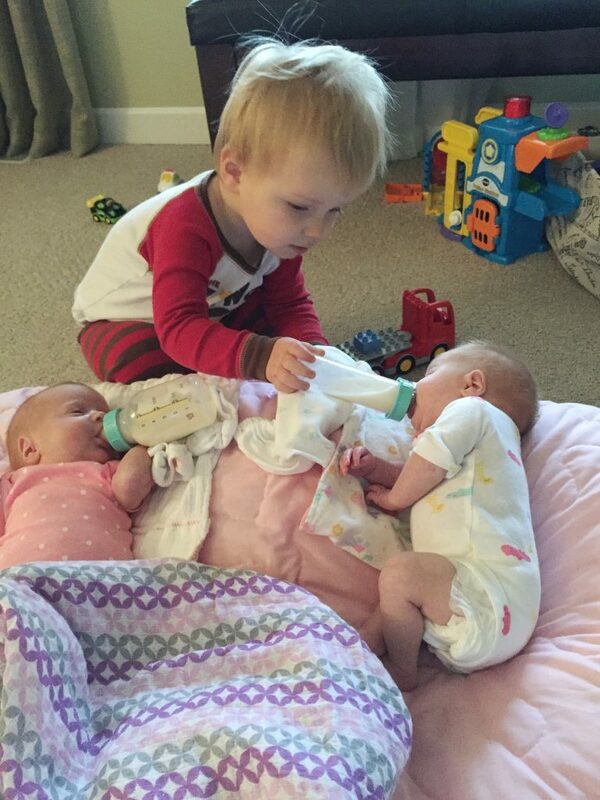 His favorite thing to help with was to feed the babies. Follow me over on Instagram to keep up with our family!